GSCS wanted to encourage prospective clients to visit their booth at an upcoming trade show through a direct mail campaign. 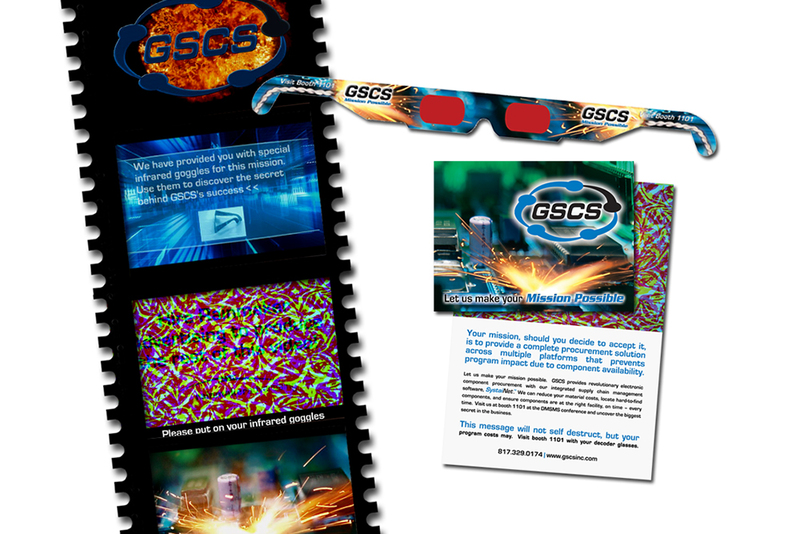 We created a targeted direct mail piece that contained a pair of 3D glasses and encouraged recipients to bring their 3D glasses to the trade show to view a “secret message” at the booth. When they got to the exhibit hall and watched the video for a secret message, they discovered that they were invited to a private hospitality suite upstairs for more information about the product.